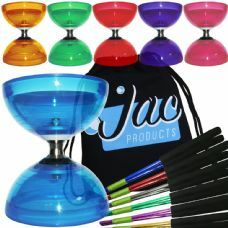 Just getting started with diabolo or looking for a complete new set? You've come to the right place! 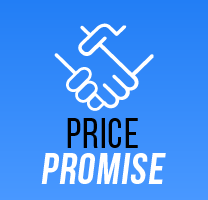 We stock everything from beginner sets with wooden handsticks through to pro models with carbon sticks, the good news is that these are all at bargain prices! 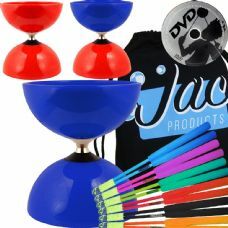 Whether you're looking for a triple bearing diabolo or a fixed axle, carbon handsticks or aluminium handsticks - you'll find all of our most popular combinations right here! 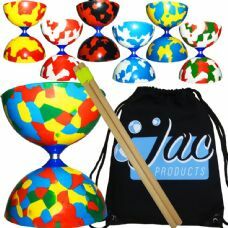 All of our diabolo sets also include a Jac Products cotton bag that's perfect for taking your set anywhere. 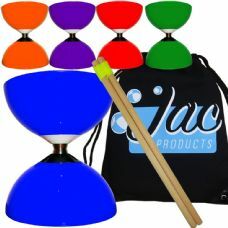 If we can offer any advice as to which diabolo set ios best suited to your needs just let us know and we'll be happy to help!